The gang at Aqua Digital Inc have found a way to make a great product even better. They recently partnered up with Skimz, the Singapore-based producers of the popular protein skimmer line by the same name, to do some tweaking to the line and re-introduce the foam fractionators under the Canadian Skimmer Company moniker. At first glance, you may not even see the difference that these new Skimz hybrid skimmers bring to the table. After all, the body of the skimmer is virtually the same. The big change, however, comes in the form of a new pump, or set of pumps depending on the model. 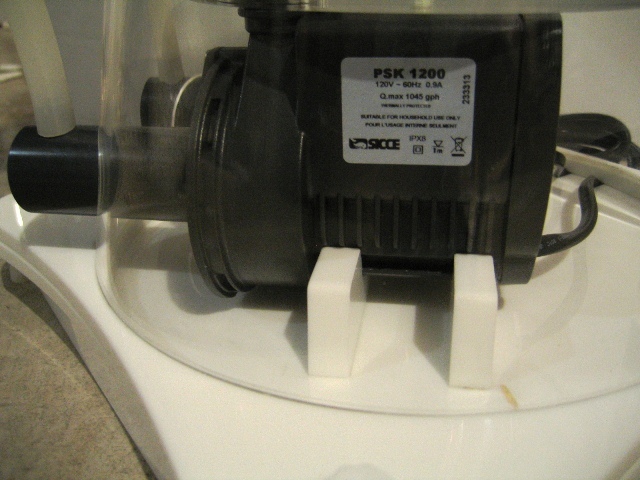 The CSC skimmers have ditched the Eden pumps, which were found in the original Skimz protein skimmers, and have since incorporated Sicce PSK protein skimmer pumps into their design. And judging by the progression these skimmers have made from the drawing board to being production ready, the combination of a Sicce pump married to a Skimz body must be a winning one. 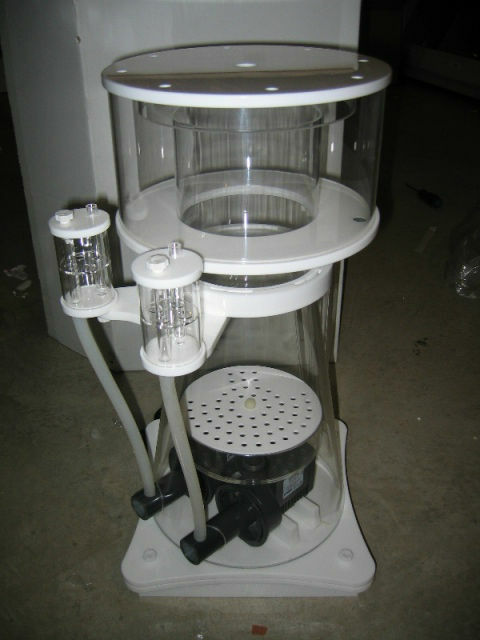 We reached out to Aqua Digital rep, Michael Hall, who told us that they used to market the Skimz protein skimmers with the Eden pumps, and customers loved the skimmer body, but weren’t thrilled about the pump choice. So, instead of trying to reinvent the wheel, they contacted Skimz to manufacturer the skimmers with the Sicce PSK pumps and brand them under the CSC name, which they obviously obliged to. The test models all proved to be very promising, so a series of three skimmer models were developed. As for the three models, they will follow the Skims lineup very closely and will be competitively priced. Each is an internal cone skimmer that is slated to release in the first week of September. 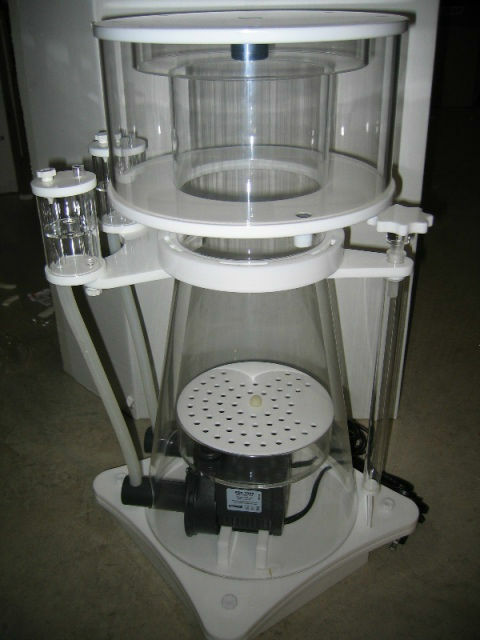 Additionally, there will be an upgrade option for original Skimz protein skimmers, which will be offered at a very affordable price, though we’re not sure what that price will be as of yet. In wrapping things up, we’re told that not only does this venture change out the pumps on these skimmers, but as time progresses, Aqua Digital will be able to tweak the design of the skimmer as customers provide feedback. We fully anticipate shaving $50 off these prices at launch, these are MAX expected pricing and will be adjusted down once our shipping costs are known and exchange rate at time of production order.